It's no secret that I am a believer in learning through hands on play. I believe in introductions to concepts at appropriate ages because I believe in naturally occurring discovery. 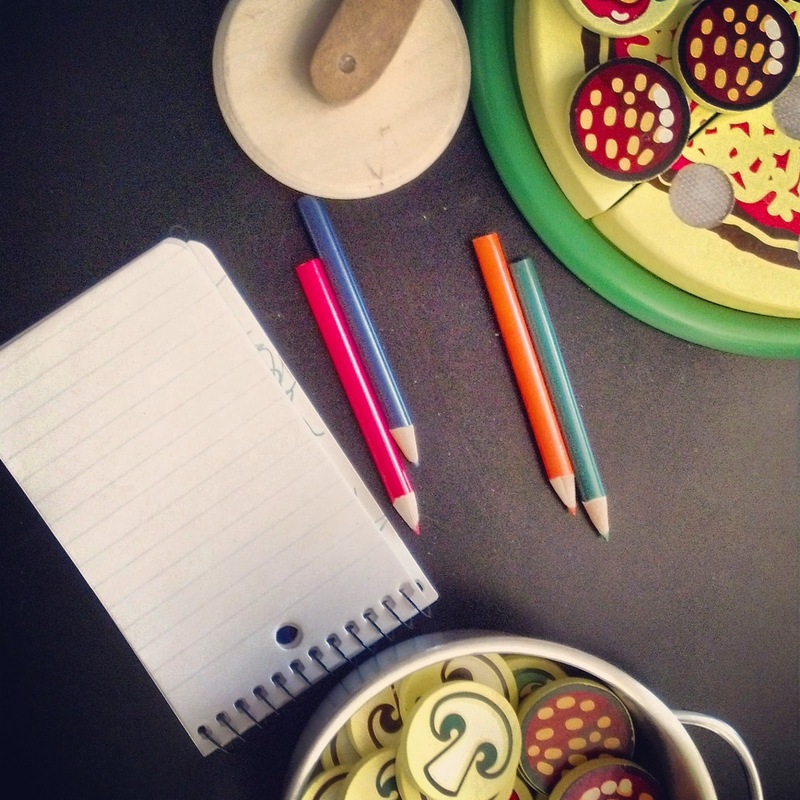 I believe in offering toys and tools in a way that will guide a child to learn what they need through their interests when he or she is developmentally ready. Pretend restaurant play. Ready to write down your order! I believe in the above because I trust play. I trust that play is giving my children what they need. I trust that play will present concepts at the age appropriate times in my children's development. 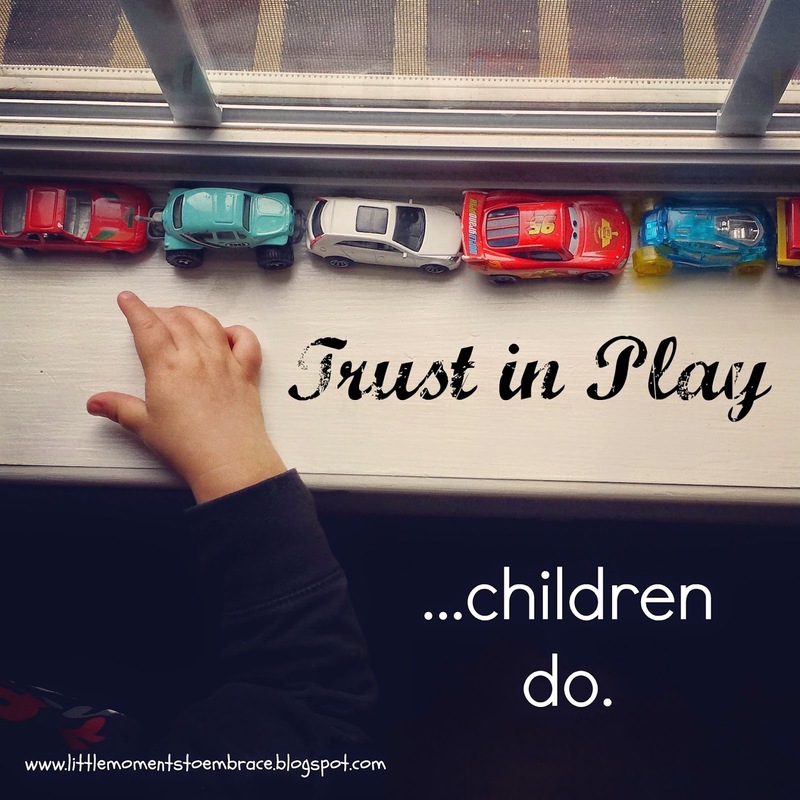 I trust play because it's an experience that creates multiple opportunities and outlets to learn. Even in a world ruled by the awesomeness of technology, I still trust play. 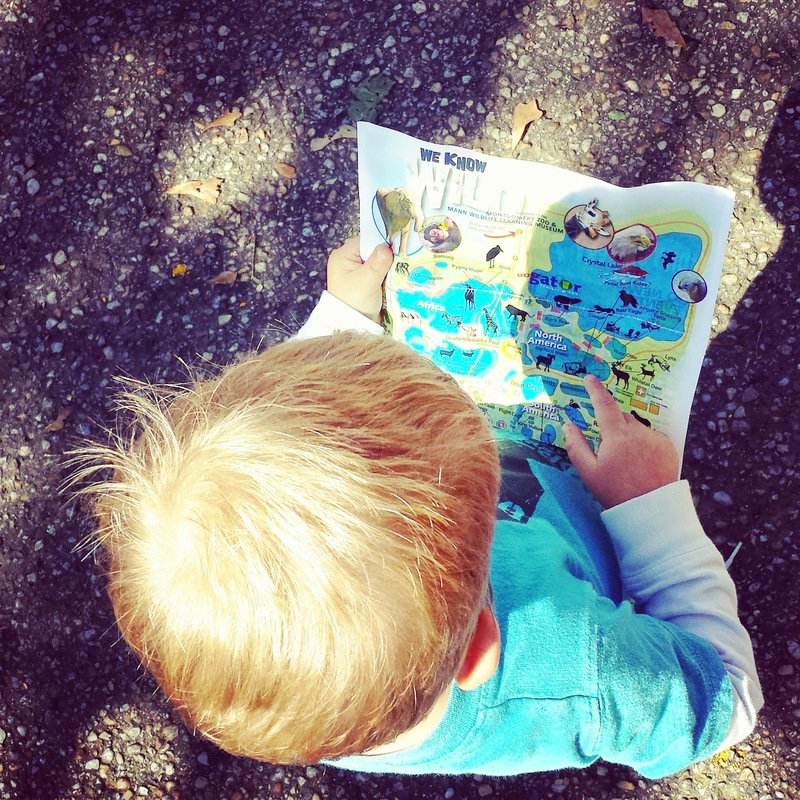 Taking the lead in navigating the Zoo, "reading" his map. Saved for pretend play at home. Math and reading (or language), are the most notorious subjects found on worksheets and screens. But they are no exception to the rule of being best understood through play. 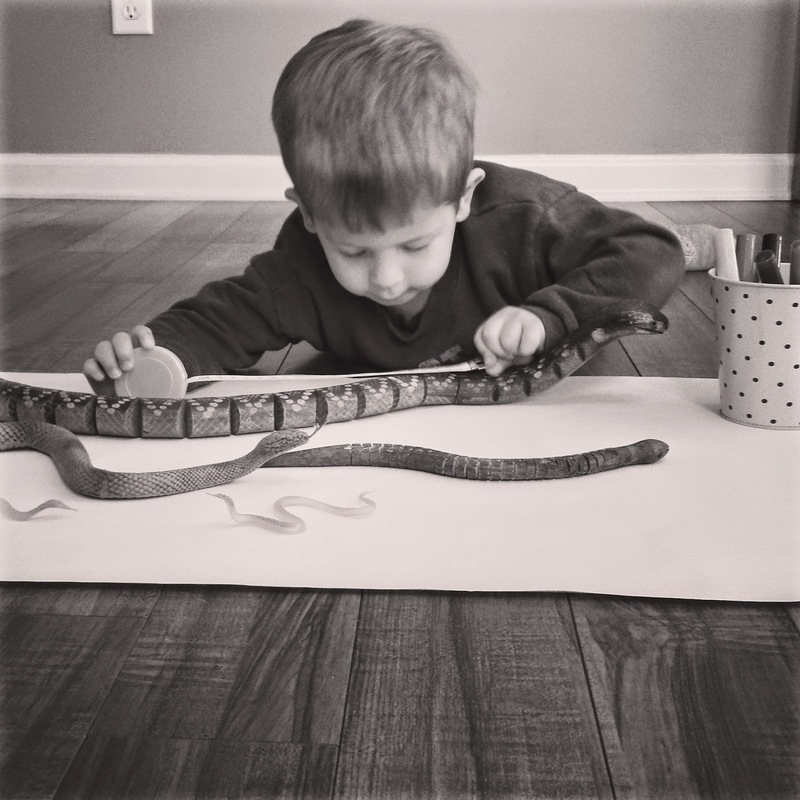 A tape measure and snakes of different length are fun to compare. Tape measures are a good addition when building with blocks too! 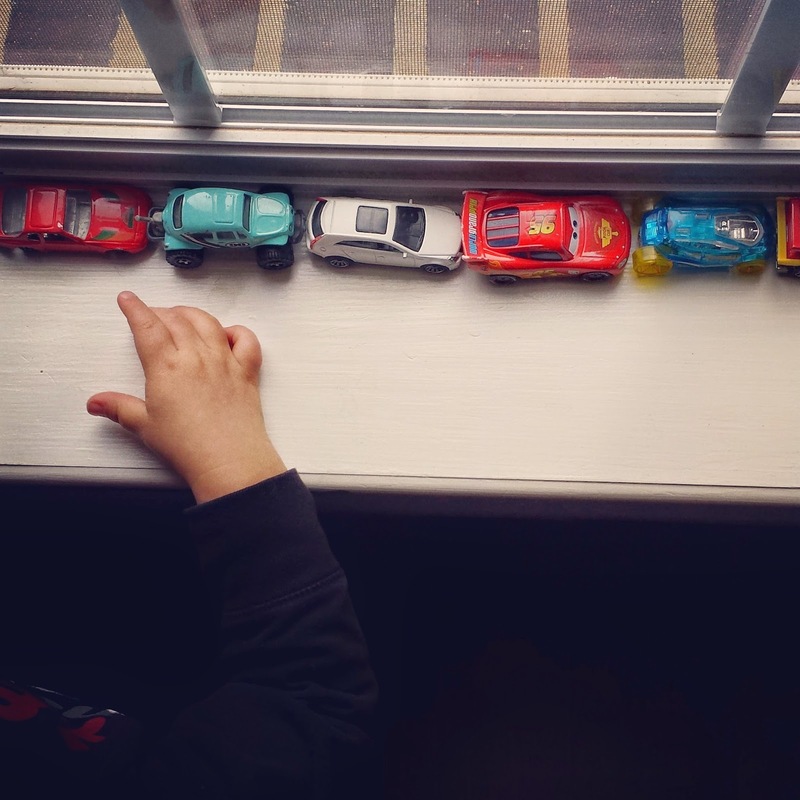 Color patterns, and sorting on the raceway. Trust that children want to learn. 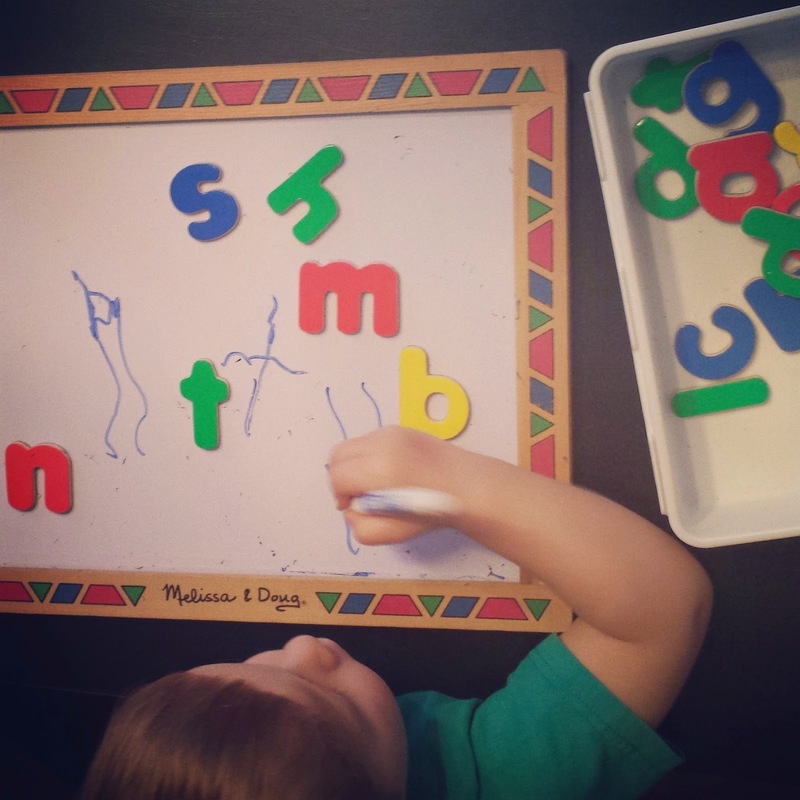 They are curious about the world around them, including those lines that make up letters and numbers. But it is a process, and play includes them. The push and the rush to make numbers and letters more visible before they are ready to be seen is not necessary... they are already there... play will make them appear when a child is ready.